If you just purchased a new car, chances are by the time you're ready to replace it, you will be able to buy a car that drives itself. But it probably won't be a Google car. Google parent company Alphabet reportedly has backed away from its ambitious plan to build a self-driving car with no option for human assistance. According to a report in the tech publication The Information, the company plans to continue developing its technology but partner with traditional automakers. 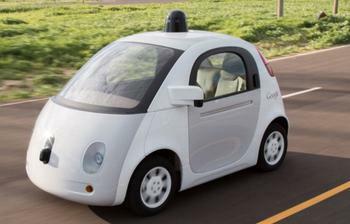 It's a significant change since Google was a pioneer in the self-driving car concept. Just over a year ago, Google declared that its self-driving pod-shaped cars had enough test miles to make them ready for the road in California. Michelle Krebs, senior analyst for Autotrader, says Google backing away from becoming a full-fledged automaker is a smart move. The technology company's test vehicles already have more than a billion miles of simulated driving, and over two million of real-world driving. Kelley Blue Book says that gives Google a clear advantage when it comes to self-driving technology. Michael Harley, analyst for Kelley Blue Book, says Google has basically built the road on which self-driving technology is traveling. But maybe not. While Google has focused on taking the driver completely out of the equation, other automakers, such as Tesla, are retaining human control as an option. The question then is whether consumers are ready to completely turn over driving to a computer – at least in the first generation of these vehicles.